Thomas Alva Edison was a hero to many people all over the world; his inventions changed the lives of millions and though over a hundred years have passed since Thomas made his first light bulb, the light bulbs we use in our homes today are not very different from the ones which Thomas made in his laboratory all those years ago. Thomas made inventing his life’s work. He filed more patents with the government than anyone else before or since, and he worked on his projects with devotion and dedication, spending millions on the research and development of his ideas. 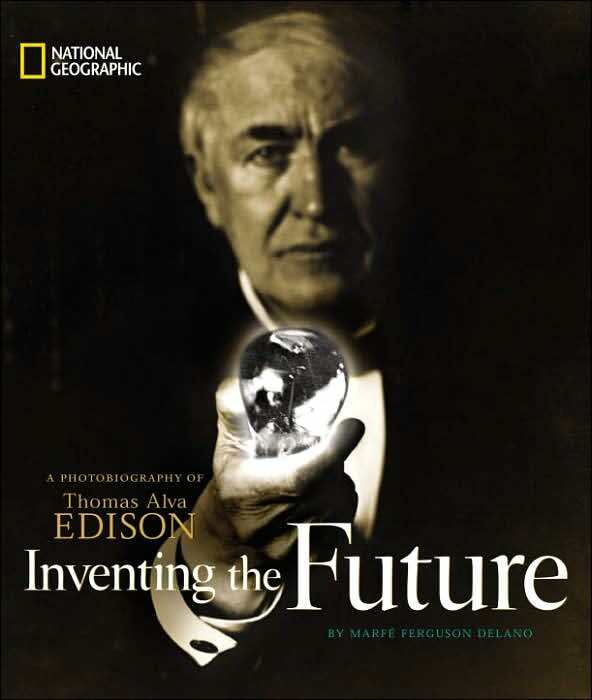 Sometimes his inventions were a flop but Edison was not discouraged. He would chalk up his failures as being useful for he always learned something from the mistakes that he made. For example he learned that there was little point in making something if the public was not willing to buy it. Full of photos of Thomas, his times, and the people in his life, this beautifully presented biography is peppered with quotes from Thomas’s writings and speeches, some of which are famous and are often used even today. "Genius is 1 percent inspiration and 99 percent perspiration" is one of Thomas’s quotes which have inspired inventors never to give up but to keep working and keep experimenting. Written with the younger reader in mind, this book would give young readers an excellent introduction to the life and times of this remarkable man. Readers will discover all manner of interesting details about Thomas and they will be left with a feeling of awe and humility for the man who was able to do so much in his lifetime.